This post was originally published Sep 29, 2015 and extensively updated December 21, 2017. Starting a business requires courage, planning, hard work, and determination. As a business owner, you know that. You can’t trade in the security of a regular paycheck for the uncertainty of entrepreneurship if you don’t have fortitude. That said, it’s common for entrepreneurs to strike out on their own without choosing a formal business structure for their company. There’s nothing wrong with that. Sole proprietorships can be successful and there are some advantages associated with owning one. For example, your tax reporting is very simple. You need only to report your business income and expenses on Schedule C of your Form 1040. However, being a sole proprietor also has its risks. The biggest risk is that your personal assets, including your bank accounts and property, are exposed to the risks and liabilities of your business operations. In other words, if a disgruntled client sues your company, you’ll have nothing to protect your personal assets and belongings from seizure if you lose the case. Fortunately, there’s an alternative that doesn’t require you forming a complex corporate entity. You won’t need to worry about selecting a Board of Directors, issuing shares, or doing any of the other time-consuming things you might associate with starting a corporation. You can protect your personal assets and retain the benefits of being a sole proprietor by organizing your business as a limited liability company (LLC). A limited liability company is a simple business structure that you can use to protect yourself from personal liability for expenses arising from your business operations. All 50 states allow sole proprietors to organize as LLCs. The concept of the LLC statute is that the owner (technically referred to as a “member”) does not have any liability for business debts because they are a member or owner of the business. In other words, their personal assets are protected from claims arising out of the normal course of business. As you might expect, the protection of the LLC does not relieve the member of responsibility for their personal actions, nor will it protect them from debts that they personally guarantee. There are significant benefits to changing your sole proprietorship to an LLC. You’ll retain the freedom and flexibility you need to run your business while gaining some essential protections for you and your personal assets. The liability protection offered by the LLC structure is particularly beneficial to sole proprietors who have employees on their payroll. Without organizing as an LLC, the actions of your employees might potentially expose the personal assets of the proprietor to claims. As an LLC, you’re shielded from the actions of your employees – although as noted above, you retain responsibility for your personal actions and liabilities. Another benefit of LLC status is that you don’t have to change how you report your business activities to the IRS. The IRS allows sole proprietors who form an LLC to continue reporting their income on Schedule C of Form 1040. More simply said, you will not be required to make any additional filings with the IRS if you switch from a sole proprietorship to a limited liability company. The LLC structure requires less paperwork than a corporation. Even if you are the LLC’s only member, you’ll need to draw up an Operating Agreement to govern the business. If you have additional members, the Operating Agreement should specify each member’s ownership stake in the business and what their responsibilities are. In many cases, switching your sole proprietorship to a limited liability company makes sense. That said, there are some risks associated with this business structure. First, you should know that just as you would as a sole proprietor, you’ll have to pay self-employment taxes. You’ll be contributing to Medicare and Social Security and paying both the employer’s and the employee’s portions of those taxes. In most cases, your personal tax liability will be higher than it would be if you formed a corporation. Second, if you have more than one member, the roles of each members are not defined by the LLC structure itself. The lack of structure may muddy the waters when it’s time to assign responsibilities. However, many issues related to members’ roles can be resolved by drafting a detailed Operating Agreement. Third, the LLC as an entity can only exist when all members continue their roles. The nature of a limited liability company is that it ceases to exist if a member leaves. In that case, you would need to form a new limited liability corporation (or another business entity) to continue doing business. Provided you understand the risks and where possible, take steps to mitigate them, then switching your company to an LLC structure can be beneficial. If you want to protect your personal assets by switching to an LLC, here are the simple steps to follow to make the change. Do a business name search in your state (or in the state where you want to register) to ensure that the business name you want to use is available. To do that, find the website for the Secretary of State’s office (you can find a full list by state here.) Most states will let you do an online search. File an Articles of Incorporation (or Articles of Organization) with your state. Again, you can find the forms you need on the Secretary of State’s website. You’ll need to fill out the form completely and pay any required filing fees. Draft an Operating Agreement to specify the ownership percentages and roles of each member, as well as guidelines for resolving disputes and dissolving the LLC. Register with the IRS and get a new Employer Identification Number (EIN). You’ll need to do this even if you already had an EIN for your sole proprietorship. Open a new bank account for your LLC. Even though you’ll be paying self-employment taxes in most cases, it’s still a good idea to keep your business and personal expenses separate, especially if you have other members who share ownership of the LLC. Apply for any necessary business licenses and permits. In most cases, you’ll need to get business licenses in the name of your new company. You should check with the state where you incorporate your LLC to confirm what their requirements are. Make sure that your letterhead, business accounts, business cards, business licenses, advertising, and everything else related to your business is in the name of your new limited liability company. This consistency offers you additional protection and ensures that the lines between your business and personal dealings won’t be blurred. We strongly recommend getting a lawyer to help you fill out the state forms properly and draft your Operating Agreement. You can find boilerplate agreements online but it’s best to have an agreement that’s been reviewed by an expert and covers all possible contingencies. Your Operating Agreement should be signed by all members, notarized, and filed with the state. If you are currently doing business as a sole proprietor, then switching over to a limited liability company is something that you should consider. You might think that there’s little chance of losing your personal assets as the result of a business issue, but incorporating as an LLC provides assurance that it won’t. For most proprietors, the advantages of the limited liability protection far exceed the cost of converting to an LLC. You’ll need to work with your lawyer to make the conversion from a sole proprietorship to an LLC, but your accountant at Cook Martin Poulson, P.C. will be able to help you identify liability threats and provide insight as to whether the conversion is in your best interest. 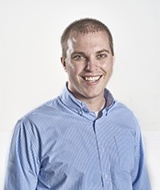 Matt is a recent graduate of Utah State University, where he earned his bachelor’s and master’s degrees in accounting. Though he enjoys preparing individual and business tax returns, he loves to visit with clients and make a difference in their lives. LLC or S-corp. What’s Better?